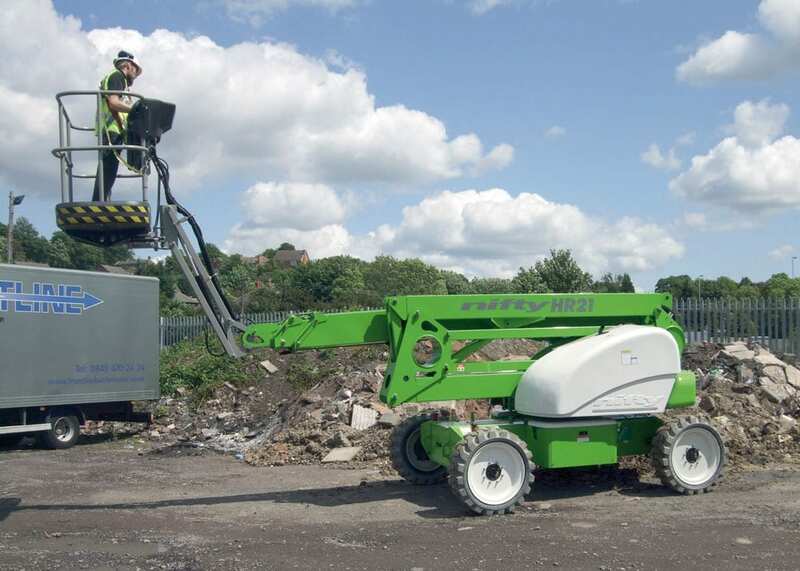 The HR21 Hybrid AWD is a 2 man work platform with a 20.70m working height and 12.60m of working outreach. But what is most impressive about the HR21 is how it achieves this from such a compact, low weight and manoeuvrable chassis. At just 6,300kg the HR21 AWD can be up to 50% Lighter than its competition while still being narrower and shorter in length and height. This equates to a substantial reduction in transportation and running costs benefiting rental companies, contractors and operators. When running on its electric motors, the HR21 becomes a ‘zero emission’ machine that can work inside or out in any environment both cleanly and quietly. 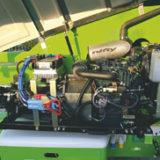 When running on Diesel, the innovative ‘Hybrid’ power system allows the electric motor to automatically ‘assist’ the Diesel engine when required (e.g. climbing a steep slope), boosting the overall power available. At all other times the electric motor channels the excess power from the Diesel engine back to the batteries, storing it for when it’s most needed. This ingenious ‘Hybrid’ technology means that the machine can use a much smaller Diesel engine (Kubota 722 – 18Hp) than would otherwise be required, reducing fuel consumption (on average 0.5 litres an hour) and therefore greatly reducing running costs. Furthermore, due to its efficient design the ‘Diesel Re-Gen’ feature can actually charge the batteries up to twice as fast as standard mains power, so the HR21 can fully re-charge itself in just 4 hours. 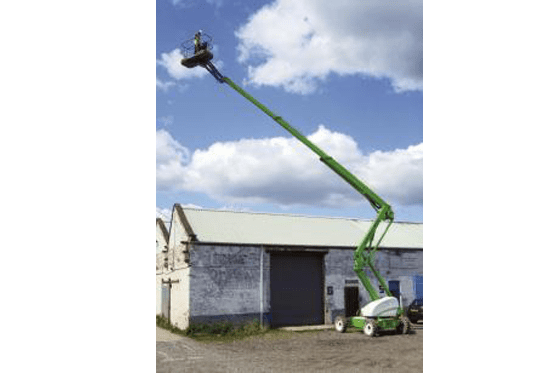 This means that the HR21 can potentially work 24 hours a day, using the electric motor to work quietly at night and then re-charge during the day-shift while running on Diesel. The HR21 is also one of the first machines of its kind to offer an advanced exhaust purification system, greatly reducing CO/NOx, particulates, and noise emissions, so the HR21 Hybrid AWD is also an environmentally conscious choice as well as being very economical to run. The HR21 Hybrid AWD also incorporates Niftylift’s new ToughCage technology. 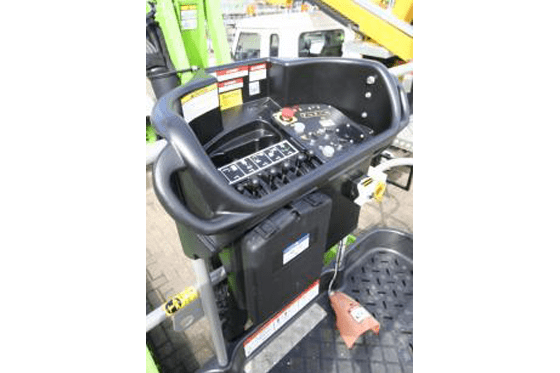 Its tough impact resistant composite base and larger cross-section steel cage give extra strength and durability, both protecting the operator and reducing the risk of damage to the cage. As well as resisting damage the new ToughCage absorbs much of the force of an impact preventing damage to the boom. Should damage occur the rails can be replaced separately for a fast low cost repair. Perhaps most importantly the HR21 is fitted with the new SiOPS™ safety system integral to the cage to help prevent sustained involuntary operation of the controls if the operator should become trapped between an overhead obstacle and the machines active controls. The SiOPS™ control panel is equipped to detect any significant load on the platforms controls or console, if a load is detected the machine will shut down, with the foot pedal and enable button deactivated. This gives the operator a vital ‘second chance’ and time to consider how to respond safely and recover their situation. Simply put, the HR21’s innovative AWD system maximises traction and drive in any given environment by automatically choosing which drive configuration best suits the task at hand. When travelling on flat or level ground the HR21 AWD works in 2-wheel-drive maximising drive/travel speed. If it detects a steep slope or rough terrain it automatically switches to 4-wheel-drive thereby maximising traction. 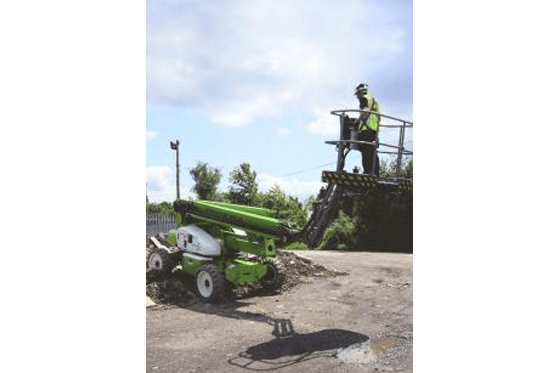 No operator intervention is required, so the operator can focus more on the working environment at hand increasing safety awareness. The HR21 Hybrid AWD embodies the very best aspects of Niftylift’s design philosophy, combining advanced power-source technology with versatile AWD while still delivering class leading reach performance from a compact, low weight and manoeuvrable chassis without compromising on ease of use, reliability or safety. Whether from the point of view of a machine operator or a rental company the HR21 Hybrid AWD represents the ‘ultimate’ combination of performance, economy and most importantly safety. 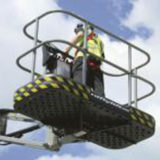 Niftylift believes that the HR21 Hybrid AWD represents the template for the future of hydraulic work platform design.